Do you and your partner have different parenting styles? If so, you’re in good company. I’ll share some Do’s and Don’ts below but I admit that the VERY best way to get closer to the same parenting page is to take a class together. Some of you have done this . . . Congratulations! I bet you’ll say it was well worth the investment. 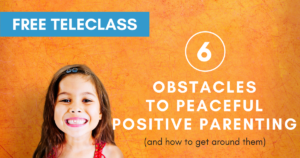 If you haven’t, consider enrolling together in Parenting with Positive Discipline class. 2nd Caregivers (partners, babysitters, grandparents, etc.) qualify for a wildly discounted rate. And I mean WILDLY discounted! Just ask. For example, “It would mean a lot to me if you’d consider attending a parenting class with me. Will you?” Remember that “no” is a valid answer to a request. It’s OK! You’ve done your part and you can feel good about that. Remind your partner that they can attend from the comfort of their own home or office (if enrolled in the Virtual version of the class), and can watch the recordings if they miss a class. Can’t take a class? Here are some tips to get closer to the same parenting page. When one parent is in charge, let them take the wheel, and address it privately later. Listen to your partner’s perspective and validate their feelings. Ask if your partner is open to suggestions before offering them. Ask if your partner would like to pass the baton / take a break in a heated parenting moment. Ask your partner (or nanny, etc.) if they’d be willing to read an article or chapter of a book. Put an article on their pillow with a note asking them to read it. Preach to or criticize your partner. Try to resolve the problem when you’re angry. Do take time to calm down first. Argue about discipline methods in front of your children. Quote the book / tell partner about all the research you’ve read. Allow children to pit you against each other. What other Do’s and Don’ts would you add? I’d love to hear them – please leave a comment below! Here are few terrific interviews that I’ve given recently. Great to listen to while driving or exercising! 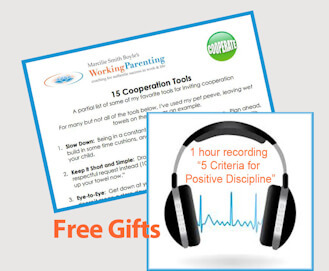 POSITIVE DISCIPLINE BOOK STUDY with Kelly Pfeiffer – a Q&A where Kelly and I share answers to common parenting questions. JOYFUL COURAGE PARENTING PODCAST with Casey O’Roarty — I’m interviewed about how modern research and neuroscience are backing up the principles behind Positive Discipline. 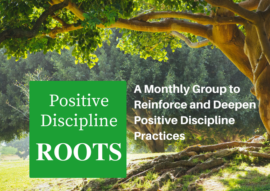 5 CRITERIA FOR POSITIVE DISCIPLINE – a free introductory Positive Discipline Teleclass I facilitated a few years ago. I hope you enjoy these recordings! Please feel free to share with friends, too. 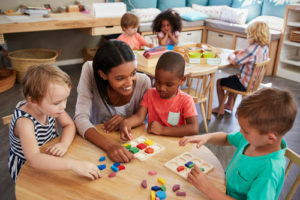 Get common sense, practical alternatives to rewards and punishments that both improve respectful cooperation AND build social and life skills for the long term. Class gets average 4.5 / 5 star rating from over 300 participants. Learn more here.